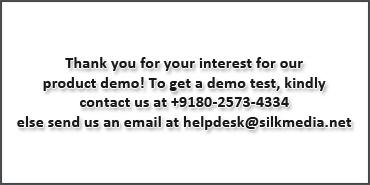 Silk Media Technologies offers Casual Conferencing (AKA) Home office conferencing service to small & medium enterprises for their conferencing needs. Casual Conference - service to small & medium enterprises for their conferencing business needs. Casual conference is a user friendly IVR assisted service which enables the user to schedule & conduct an audio conference from a mobile or fixed phone. Upon registering to the service a moderator can set up list of participants to call. Participants can join the conference by dialing the given access number or moderator can dial out to add a participant. 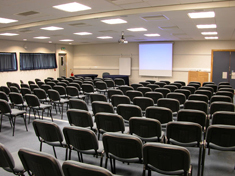 Casual conference is available as both pre and post paid options. User friendly IVR interface for Registration and subscription. Create "Conference groups" of people (clients, customers, partners, friends & family). Moderator Key controls (i.e.) DTMF Commands. One time passcode for participants. Dial-in & Dial out Options. Dial out function to add people to the conference. Forgot/ Change Passcode for Moderator. Talk to upto 32 people at a time. Host instant conference calling though IVR assisted service. Communicate from both fixed & mobile phones. Can talk to any subscribers of any network. Schedule conference on the go.